Shovel Knight was one of those games I followed from the first announcement on kickstarter. The perfect NES feeling, mega man type enemies, superb music, and beautiful art made me think of how much dedication and love, because I can’t find any other way to describe this effort than love, went into making this game. With all the upcoming expansions they have announced for free, I decided to contact them to make a little interview about whats coming our way and the effort they made to Develop this jewel. The most important question, why a Shovel? We started with gameplay! We wanted to build a game around a single core mechanic, the downthrust. We then brainstormed actions that would complement the downthrust well. Flipping, slashing, digging, swiping, and other similar motions all seemed cool. The only weapon that could fit our desired gameplay was a shovel! Were there plans at any point to include Shield Knight as a player character? Could it happen in the future? No, there was never a playable Shield Knight. But many times, we have dreamed of a future where Shield Knight is playable! Shield Knight will definitely be playable in Battle mode! Did you ever think Shovel Knight would be so successful? Absolutely not! We thought Shovel Knight would do well enough because of the Kickstarter, and we hoped people would receive it well because we put so much hard work into the game...but to expect the success we’ve seen would be crazy. We definitely hoped for it! It’s really been an honor to have had the game be loved by so many! Which is the favorite Knight of The Order of no Quarter from each member of Yatch Club Game? Oh that’s hard to say! But mine is King Knight. I think he represents a lot of the character of the game...goofy, silly, quirky, but simple fun. He exemplifies a lot of the spirit of the people making the game! 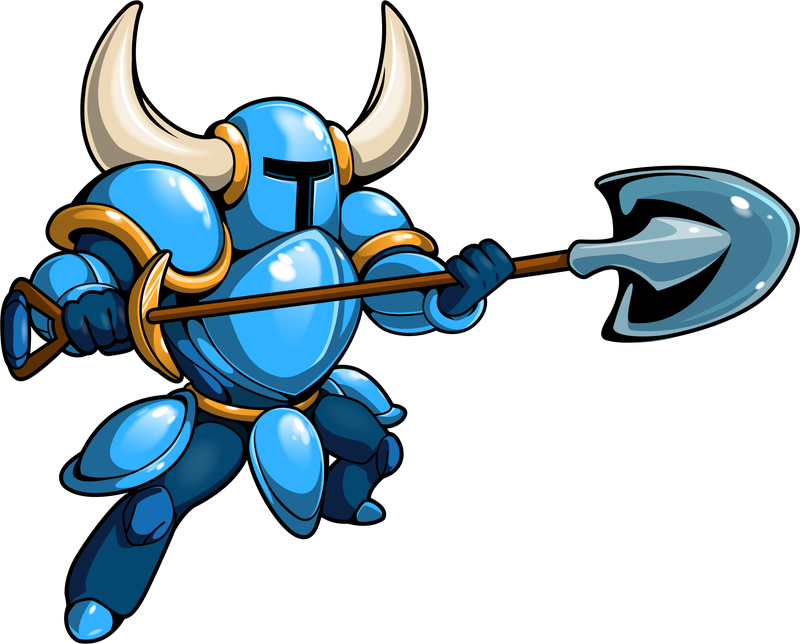 I think the formula in Shovel Knight is the most successfu in a retro game I’ve seen in a while, did you guys thought of a different gameplay structure at some point, like more powers, combos, or other things that some gamers could find more appealing? We wanted to keep the core mobility of Shovel Knight very simple so we strayed from having more powers and combos. But that’s where the update content comes in! Each playable boss will definitely have their own flair and style. I know you guys don’t have a release date for the first expansion, but are there any new details you could share about it? We’re hoping to get it out very soon! Right now we’re reworking the weapon system and tweaking the stages a bit to squeeze out every extra bit of fun. It’s really coming together, and I hope everyone will love it! Now that I’m replaying the game by third or fourth time (don’t remember), I’m trying to break all the checkpoints from the start, was the idea of this to make it feel like a true NES experience? because some parts feel as challenging as platformes like Ninja Gaiden for example. We were definitely inspired by the NES every step of the way. We wanted to create gameplay that felt fun and delivered on the same feelings and emotions we got when playing NES games. The checkpoints were a big part of adapting the NES for a new audience. Breaking the checkpoints allowed players to feel the same dread, pressure, and intensity that fewer checkpoints provide, while not breaking them made it easier for newcomers to make it through the challenge. Anything you could share on the status of the amazing expansions you have planned? We’re in the middle of working on body swap and battle mode. We’re really excited to show them to the world. It’s a ton of fun to play and battle against other knights. We can’t wait for everyone to see it! How was the process of implementing Kratos? Did you had to study all the God of War Games? It was a blast! We had the pleasure of visiting Santa Monica Studio’s gorgeous brand new facilities to discuss our gameplay, story, art, and sound ideas with key members of the God of War team. It was very exciting to bounce concepts back and forth and get a better understanding for how the God of War team viewed their character and world. We definitely went back and played through all the God of War games again. But still, capturing Kratos’s pure intensity was quite the challenge. Every time we saw a new attack or animation go in-game we thought “This has to be even more intense!” to match the spirit of the series. We wanted to make sure we did justice to Sony’s amazing IP!